user warning: Expression #1 of ORDER BY clause is not in SELECT list, references column 'hotkilns_live.n.created' which is not in SELECT list; this is incompatible with DISTINCT query: SELECT DISTINCT n.nid, n.vid, n.title FROM content_field_videos_features nr INNER JOIN node n ON n.vid = nr.vid AND n.status = 1 INNER JOIN node_access na ON na.nid = n.nid WHERE (na.grant_view >= 1 AND ((na.gid = 0 AND na.realm = 'all') OR (na.gid = 0 AND na.realm = 'content_access_author') OR (na.gid = 1 AND na.realm = 'content_access_rid'))) AND ( nr.field_videos_features_nid = 270 )ORDER BY n.created DESC in /home/hotkilns/public_html/sites/all/modules/nodereferrer/nodereferrer.module on line 428. Neatly laid out wiring done to National Electrical Code and UL499 standards. Floor standing detached control panel. The control panel is mounted on the floor - away from kiln heat - for more reliable operation. Switches and sensitive components last longer. 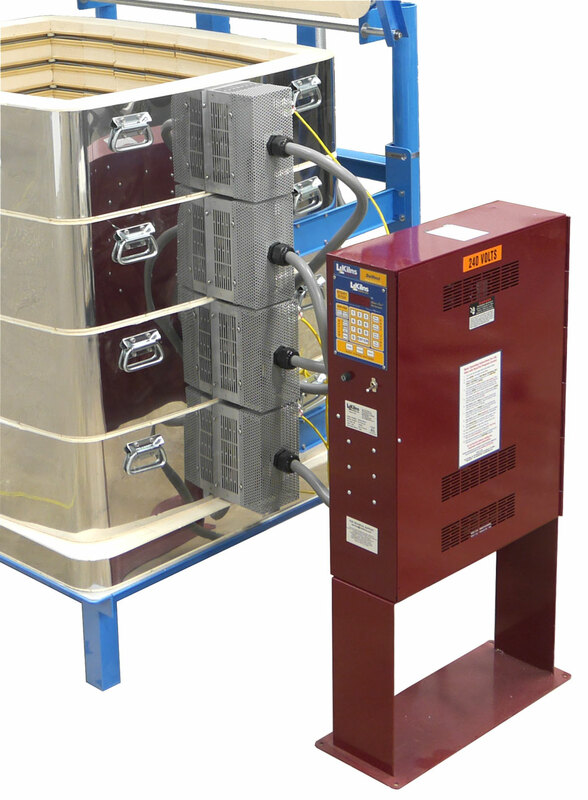 Kiln sections plug into the panel with flexible cords. The panel can be easily sent for factory repair. 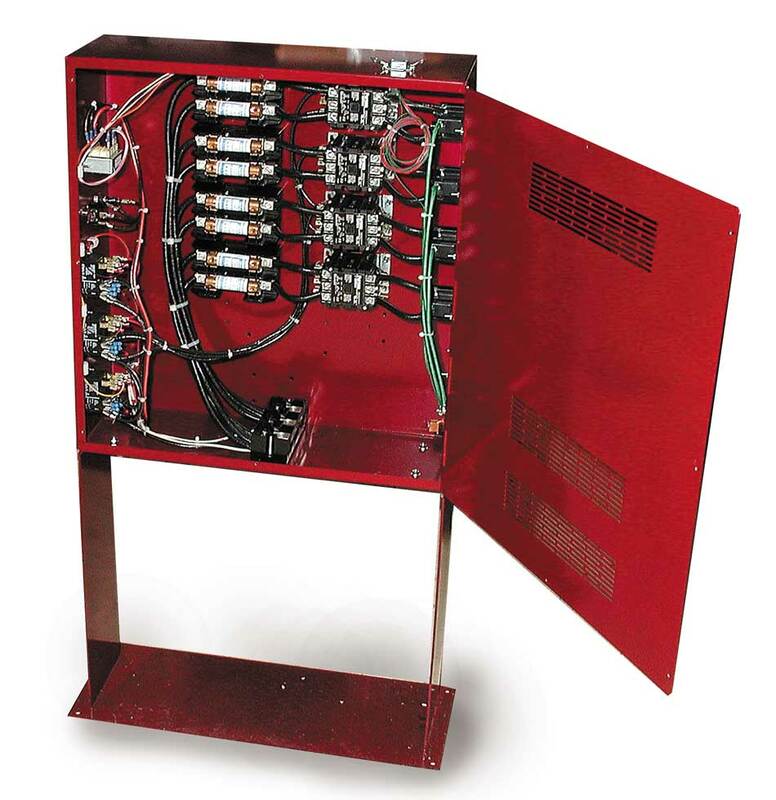 The panel door is hinged for easy access to fuses and for service. All wiring is neatly laid out for easy maintenance. All panels are tested with a special testing system. Each element circuit or zone is separately fused. This protects element circuits. Meets National Electrical Code requirements. All DaVinci kilns are listed to UL499 Standards. All power is switched to the elements with power relays. No hazardous mercury is used. Wiring connections are positive to stable components. All wiring is neatly laid out and wire tied. The instrument panel is well-ventilated. On/Off Toggle Switch breaks power to the electronic control to insure that it is off when you want it to be off. 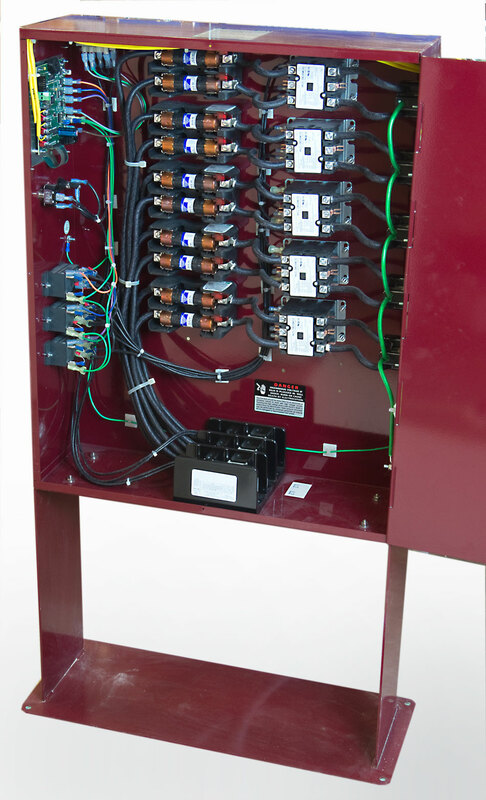 Panel mount control fuse protects electronic control. Some other kiln do not use On/Off switches.